We are a grassroots, unfunded community project that is run by a team of dedicated student and professional volunteers. After serving in pastoral roles in the local church for three decades, Joy Johnson, PhD (Theology) joined the City Pastors Fellowship Board (CPF) in 2013 after four years CPF membership. She is a faith leader of racial reconciliation throughout the Sacramento Region. She is widely recognized for her prophetic voice as a preacher, teacher, and facilitator and her commitment to restoration and healing for individuals and communities. 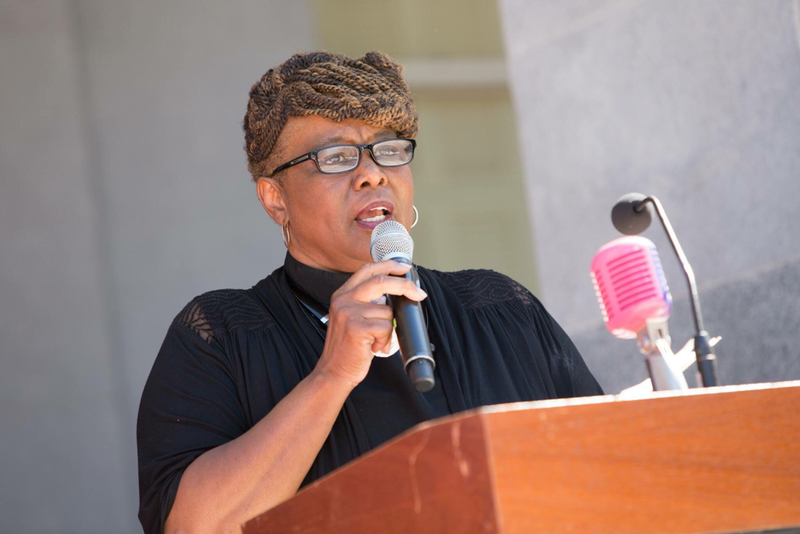 As the President of the Board for Sacramento Area Congregations Together (ACT), Dr. Johnson leads in mobilizing public sentiment around social justice grounded in faith - working alongside clergy/leaders of varied faith traditions and ethnic backgrounds. She teaches and directs a peer-learning program for a diverse group of area pastors and leaders hosted by Fuller Theological Seminary. Dr. Johnson holds a doctorial degree in Christian Theology from Sacramento Theological Seminary in Sacramento, California and a Masters Degree in Health Services from St. Mary’s College in Moraga, California. Prior to dedicating herself to full-time ministry, Dr. Joy had an extensive and dynamic career in Nursing and Health Services Management and Leadership. Never underestimate the determination of this warm, unassuming professional brings to the table. 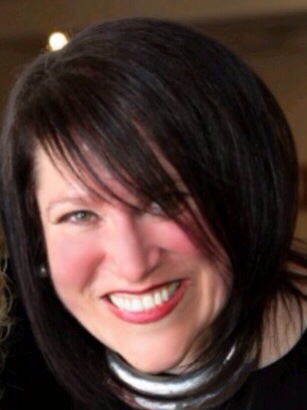 Diane Carlson holds a Master of Arts degree in Sociology and a Juris Doctorate from University of Arizona. 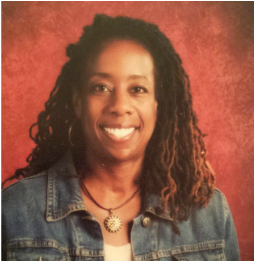 More recently, she completed her Doctorate in Education from Sacramento State University. Diane is a 15-year student of Danzan Ryu Jujitsu and has earned her 3rd degree black belt. Professor Carlson’s formal academic background makes her especially qualified to be a mentor and consultant on this project. As the Sociology Department Chair, she also teaches classes on gender, inequality, social problems, and of course, racism. _Diane has traveled worldwide, and desperately continues her quest to become fluent in Spanish. She has been a guest lecturer at the University of South Africa, and facilitator for many area multicultural programs. Diane states that she, “still works hard to temper passion with patience.” However, many students agree that Diane changed their perspective on society, and in doing so, changed their lives. SFR is fortunate to have a leader who is genuinely considerate about the value of each member of society, and who does more than teach her students classroom depictions and concepts. She leads by courageous example. Pastor John A. Heath is a true voice for the 21st Century. He has served in ministry for 22 years, 17 of which have been as a Senior Pastor. A sought-after workshop facilitator, church consultant, and leadership development specialist, he provides consulting services to local churches as well as umbrella organizations in the areas of Strategic Planning, Leadership Development, Leading Change and Change Management, Stewardship and Construction Strategies, Social Enterprise Ventures, Systems Implementation, and Organizational Efficiency. Most recently, he was recognized by the Sacramento HUB Magazine along with Academy Award nominated and Grammy Award winning Actor Will Smith as one of the outstanding African-American Male Leaders in Northern California. Named by the Houston Business Journal as one of its inaugural Top 40 Under 40 award winners and as one of the 25 emerging Baltimore/Washington Corridor Leaders to Watch by the Times Newspapers. Pastor Heath is impacting and changing the present culture as a Pastor, Government official/consultant, and Spiritual Adviser / Life Coat to athletes, entertainers, business executives, and elective officials. Currently, he leads the California Community Action Partnership Association representing the 60 Community Action Agencies in California before the Governor and State Legislature as well as on Capitol Hill. Pastor Heath's ministry and professional backgrounds have enabled him to gain the unique skill set to minister to the: Total Man, Total Family, and Total World. In addition to his 22 years of total ministry and 17 years of Pastoral ministry, Pastor Heath has held several high profile positions in the areas of Government, Business and Higher Education. He has served as a Senior Adviser to the Governor Robert Ehrlich of Maryland, as Assistant to the Maryland Senate President Thomas V. Mike Miller; Chief of Staff to former Maryland State Senator Clarence Mitchell IV, Special Assistant to Congressman Elijah Cummings (Former Chair of the Congressional Black Caucus), Senior Policy Adviser to Harris County TX's Judge Ed Emmett, and has also led large organizations on the East Coast and in Texas with employees ranging from 600-1100. Additionally, he has been responsible for managing organizational budgets ranging from $68 Million to $235 Million. In 2005, he was a key leader in the state of Maryland's effort to assist more than 4,000 gulf coast residents displaced in Maryland due to the devastation of Hurricane Katrina. As Special Assistant to the President / Director of Government and Community Relations at what is now Coppin State University, Pastor Heath was key in obtaining a $350 million commitment from the state of Maryland over 10 years, and more than $200 million in additional construction to include a $120 million state of the art athletic facility. On the Economic Development front, he has been involved with projects totaling more than $500 Million and has assisted Large Corporations, Small and Medium Size Companies as well as Faith Based Groups and Churches in traditional and social-enterprise economic development projects. His unique blend of professional experience coupled with his experience as a Pastor provides him with a unique skillset in empowering Pastors and Leaders to synergize the various components of ministry to achieve optimal ministry performance and success. 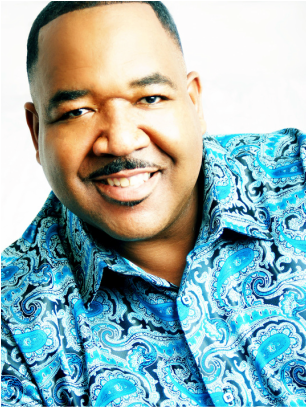 He is frequently called on to provide religious, social, and political commentary for local and national print publications as well as local and national radio and television programs. He has appeared on CNN, BET, and the FOX news channel. Rising from homelessness in 1993 to regularly being called upon by White House staffers in two Presidential administrations, Pastor Heath is a living example of 1 Peter 5:6 "Humble yourselves under the mighty hand of God, that He may exalt you in due time"! Pastor Heath is married to the love of his life Candace Heath and is the father of five children Cynthia, Dreisen, Langston, John III, and Tre' who is deceased. He holds a Bachelor of Theology from the United Baptist Seminary and College and has done post graduate work in several disciplines. Nicole Nia Ann Brown Graves is a counselor educator in Elk Grove Unified School District and a seasonal instructor at CSU, Sacramento, Education Counseling Department and Continuing Education/Dropout Prevention Program. Nicole has attended Center of Praise Ministries since 1993. She has participated in and co-facilitated a variety of diversity education seminars and similar events since 1995, including S.E.E.D (Seeking Educational Equity and Diversity) and most recently S.F.R. (Sacramento Faces Race). "Be true to the hearts and minds of our young people for they hold the keys to unlocking the progression of humanity". Kathy Riskin Orihuela is a retired Literacy Educator and Equity Coordinator. She taught nine years in Tucson, Arizona and then 25 years in Elk Grove Unified School District. In 1997 Kathy attended the National SEED (Seeking Educational Equity and Diversity) summer training and became a certified SEED educator/facilitator. She began EGUSD's first SEED Seminar with 20 participants. Since then, over 1,000 local educators in Elk Grove have participated in SEED seminars. In retirement, she has dedicated her time to connecting youth to books in Sacramento County's Office of Education Court Schools, as well as Continuation Schools in EGUSD. Many of those students were part of the Sacramento 916 Ink Youth Literacy Project. Kathy is committed to creating more equity in our community. Her current project is Building Blocks to Literacy, a community service project that matches up high school students who read to very young children who may not have access to books. The goal is when they enter kindergarten they will not start out behind. Kathy supports Sacramento Faces Race as a force for confronting issues of racism through shared learnings, meaningful dialogues, along with actions that can make a difference. Alana Ramsay is currently a sophomore Communications major at Folsom Lake College and the web director intern for Sacramento Faces Race. Growing up as a black woman in a primarily white area has taught her the importance of diversity, equity, and inclusion. At Folsom Lake College, she works as a Student Equity Advocate, a group that educates the campus community about the different dimensions of diversity, equity, and inclusion as well as advocating for other marginalized students. She also is the Co-Chair of the Equity and Inclusion committee as part of Student Senate. 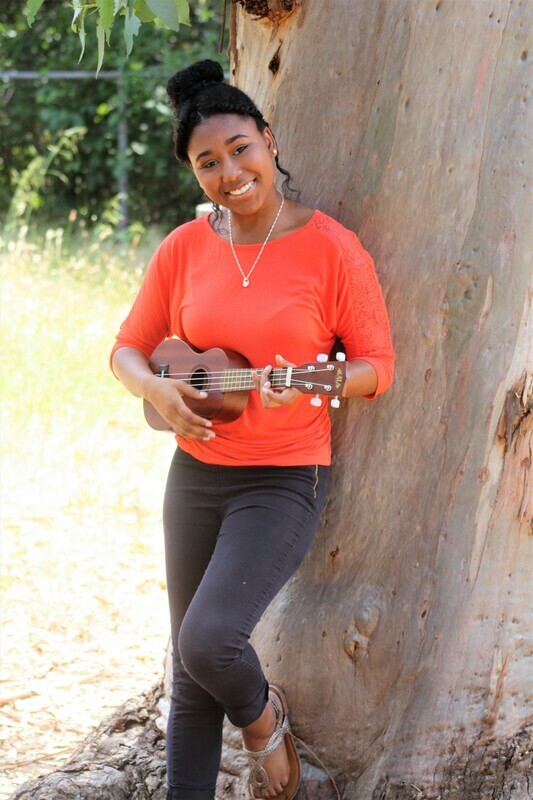 After graduating from FLC this spring, Alana hopes to transfer to the University of San Francisco,UCLA, or Stanford where she will continue her studies. Her goal is to become a professor and be a mentor to students like herself. In her free time, she enjoys all types of arts and entertainment. She plays multiple instruments, enjoys writing and reading, and often spends too much time catching up on TV shows and movies. I moved to the United States 12 years ago from a small, poor, village in Mexico. To give you a visual, my playground was the garbage dump in my backyard. As a first generation college student, and part of a marginalized culture in the U.S., I have learned a lot of the struggle among people of color. I identify with the Black-American experience. My struggle as a student is very typical among students of color. Getting to where I am has been the biggest challenge of my life. As a current psychology major at Folsom Lake College, and soon-to-be transfer student to Notre Dame de Namur University, I believe in the potential of people. The main reason why I am involved in Sac Faces Race is because I hope for a life where color, race, ethnicity, sexual orientation or any other characteristic that is not part of the power holders are not assumed to be “less than.” My contributions to this team come from my leadership on the Peer-Teaching Media Bias Team and Diversity Club and Folsom Lake College. From singing opera at the Juilliard School to embracing life-long learning, Lynn's resume is full of colorful happenings including student success coaching, nonprofit board consulting, funds and development, ghost writing, building cross-cultural relationships, and nonprofit start-ups like Sacramento Faces Race. Lynn spends enormous amounts of time in communities of color, both within the Jewish community and in greater-community spaces. In her teens she began volunteering with the African National Congress, and was fortunate to be present with rallying onlookers at Yankee Stadium to hear the inspiring words of Nelson Mandela’s “Apartheid is Doomed” speech just after his release from prison. More recently, Lynn participates with Sierra Health Foundation's Black Child Legacy Campaign, was just appointed to the Healthy Sacramento Coalition Steering Committee, and represented the committee at Capital Public Radio’s A View From Here, Place and Privilege Story Circles as a community partner facilitator. She also appreciates and is inspired serving in her recent role as the trainer for community and education equity and justice with Folsom Lake College’s Student Equity Advocates. Current roles include the Sacramento NAACP Executive Committee—Education Chair, and Community Outreach Chair for the Jewish Community Relations Council. Lynn is a secret data nerd. She loves community strategy and community health. She feels fortunate to collaborate with teams of courageous leaders, equity educators, and the broader community who share her vision to eliminate systemic and structural racism at its foundation. Lynn is married, has two children, and a bichoodle named Quincy Jones.